This is just a very quick blog post to wish all of my followers and readers a very Merry Christmas and an awesome New Year. 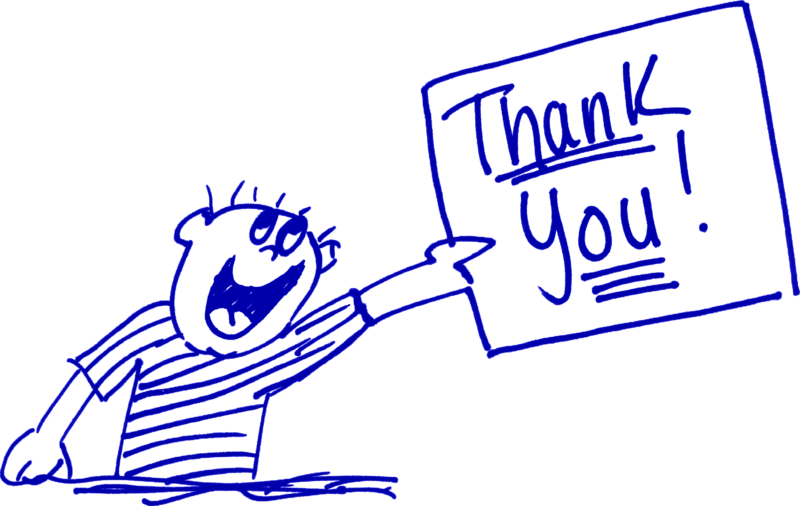 Of course, being a 3D Visualiser I had to convey my thanks and appreciation to all the lovely people who read, follow and comment on my posts, by creating a very special 3D visual. This is also the first time that I’ve actually included ME in the 3D visual! It was only a matter of time, right?! Why hadn’t I thought of doing this before now?! Anyway, 2014 has been a very exciting year for Anita Brown Design Studio and here’s why. 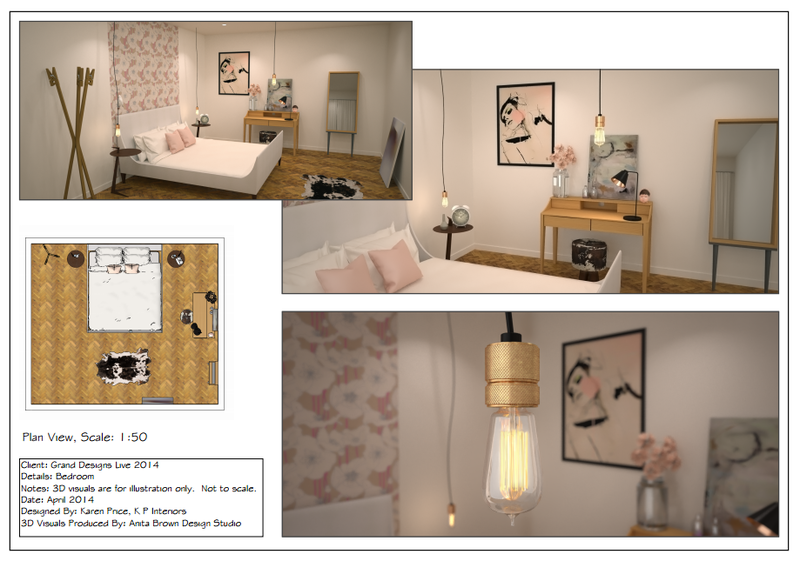 Maxwell Render published my infamous vintage Edison bulb on their website and also asked me to undertake a case study (they have since used the 3D visual of the bulb as their official photo across all of their social media platforms); my blog was shortlisted for the Amara Interior Blog Awards (I didn’t win in my category but it was still exciting to be shortlisted) and I have had the opportunity to work on some very high profile events with an awesome Event Design company in London. I’ve come a looooog way from my very first attempts at creating a 3D model using SketchUp and continue to learn, develop and refine my skills/understanding of this amazing 3D modeling software (including the Maxwell Render photo-real software that I use). My goal is to expand and develop Anita Brown Design Studio and the 3D Visualization service that I provide, so hopefully 2015 will provide more fabulous opportunities to do this. And remember, I love hearing from all of you, so please don’t be afraid to comment on any of my blog posts! I’d like to collaborate with more bloggers and Designers in 2015 and would love to hear from anyone interested. Don’t forget; I have a very powerful tool at my disposal (photo-real 3D Visualization) and I’m more than happy to collaborate with others to create exciting and inspiring spaces. 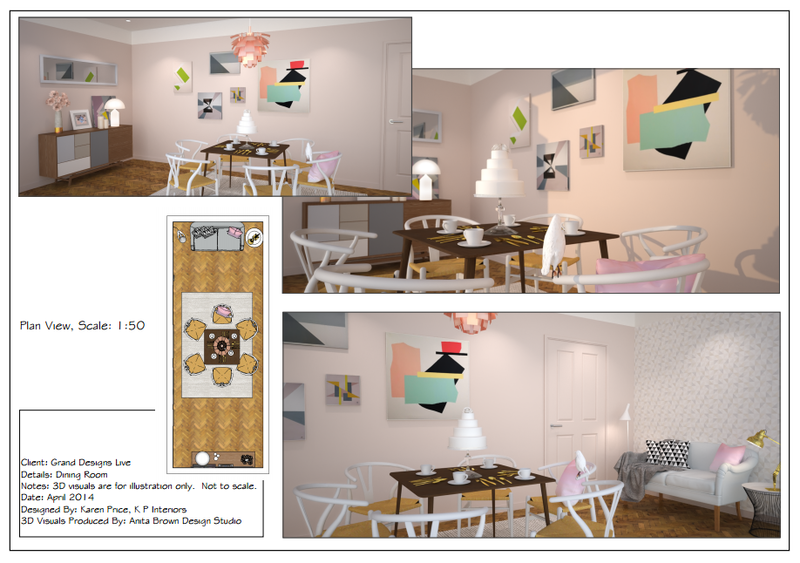 3D Visualization is my strength but Interior Design will always be my passion. Once again, thank you to everyone who has taken the time to read my blog and I wish you all a healthy and happy 2015. And a very Merry Christmas to you as well.